To locate a Hults Bruk dealer near you, consult the map below. In addition, the following companies have multiple locations. Please refer to their websites for a location nearest you. Here is our list of online-only retailers. NOTE: Most retail stores also have websites and sell online. Oso Grande Knife & Tool Co. 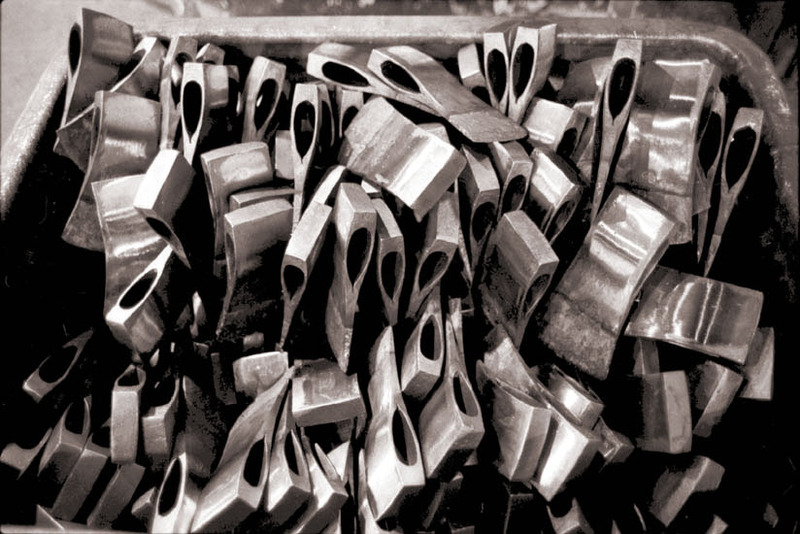 These axe heads have been forged and cooled. Now they are waiting to be mounted and sharpened.